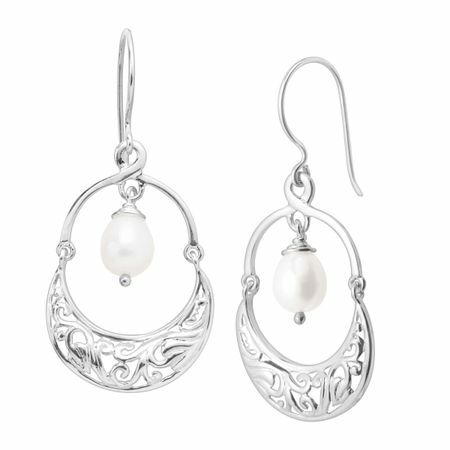 Classic sterling silver filigree and freshwater pearls get a modern update with a hinge design! Freshwater pearls suspend from open, hinged drops for a look that'll leave an unforgettable style impression. This piece is part of our Balinese Collection, inspired by the beauty of Southeast Asia and handmade in Bali using ancient silversmith techniques. Earrings measure 2 by 15/16 inches and feature French wire back findings. Pieces come with “.925” sterling silver quality stamps as symbols of guaranteed product quality.